The City Council approved a policy this week requiring the release of certain law enforcement records involving elected public officials. The new policy follows a controversy surrounding a recorded conversation Mayor Bao Nguyen had with a police officer. Homeless advocates and low-income residents of the Costa Mesa Motor Inn are trying to stop plans by the city to demolish the motel and replace it with high-density apartments. Fountain Valley, CA (October 8, 2015) – Water conserved by county residents will stay in the county, thanks to a unanimous action recently by directors of the Municipal Water District of Orange County (MWDOC). WASHINGTON, D.C. –Congresswoman Loretta Sanchez (CA-46), senior member of the House Armed Services Committee, released the following statement in response to the news of a devastating rocket attack on Camp Liberty in Iraq. SAN JUAN CAPISTRANO — The Capistrano Unified School District (CUSD) Board of Trustees approved the appointment of Sean McNamara to serve as Principal of Las Flores Middle School and Robert Miller to serve as Director of Personnel Services. ORANGE -­‐‑ October 29, 2015 – The Orange County Superintendent of Schools Wednesday notified the Orange Unified School District that a petition to force a special election to fill the Area One Trustee seat was legally sufficient and the provisional appointment of Gregory Salas was terminated. 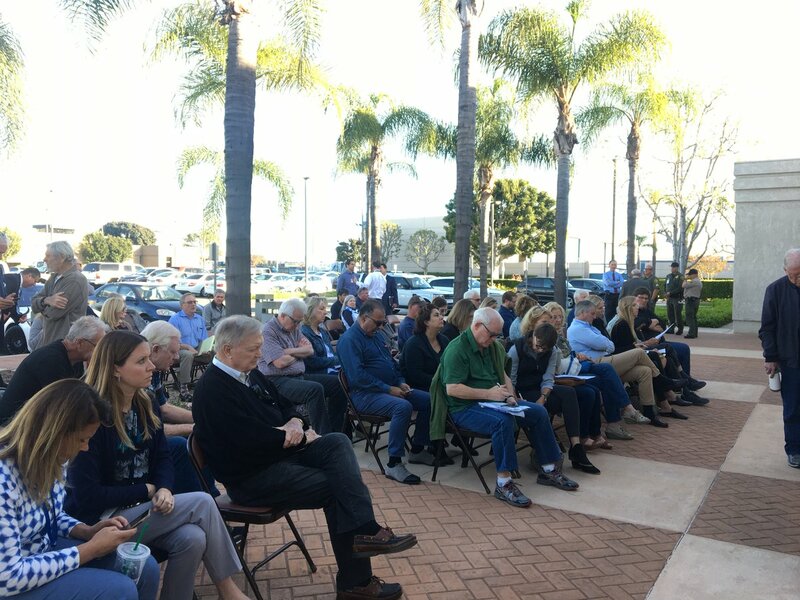 (Orange County, CA) — The Board of Supervisors has approved an agreement to resolve litigation with the City of Orange over a former landfill site at Yorba Park, allowing the property to be more developed and maintained as a city recreation facility.